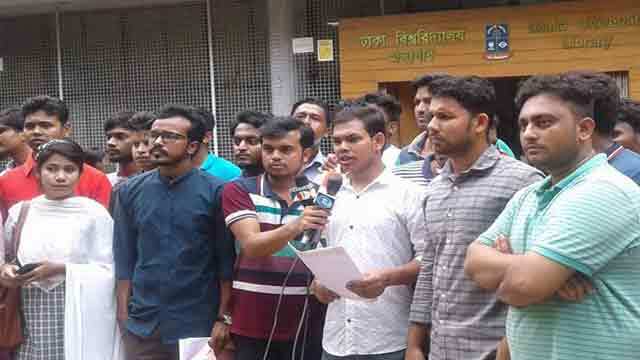 Dhaka, Sep 11 (Just News): Quota reformists today demanded the government to publish gazette on quota reform before the issuance of the circular of the 40th Bangladesh Civil Service (BCS) examinations. If the gazette is not issued before that, the quota-reform movement will resume, said Bin Yamin Mollah, joint convener of Bangladesh Sadharan Chhatra Odhikar Sangrakkhan Parishad, the platform spearheading the quota-reform movement. The deadline to issue the gazette was August 31 but as Road Transport and Bridges Minister Obaidul Quader had asked the quota reformists to keep patience, the students waited, the joint convener said. “But now almost 10 days have passed and there is no activity centering the gazette notification,” said Bin Yamin.